Pricing updated with information from Dell. As part of a series of education-oriented product announcements, Dell is introducing the Venue 10, a Lollipop-enabled Android tablet. The device, which will have a "Pro" sibling that runs Windows 8.1, is set to debut in the spring and will be Google Apps for Education certified. While it will fall short of being a high-end tablet and may not have wide availability, it does have a few cool features. Dell's release says the Venue 10 line will have "HD or Full HD" 10.1 inch screens, making it unclear whether these will be options or if the 1080p display will apply only to the Pro model. They will also come with a Wacom digitizer, making them ready for true active stylus input (also known as "inking"). That's the same technology that powers the Samsung S Pen. With that said, the stylus will be sold separately. Another optional add-on is an attachable keyboard, which Dell plans to use for Lenovo Yoga-esque functionality in addition to the ability to type more easily. They will have Intel Atom processors onboard with a reported 10 hours of battery life. Also, they have microSD and full-size USB ports in addition to the microUSB charging port. A cool classroom-relevant feature is a network activity light, which would signal to instructors that a student is using the web. The Venue 10 also has NFC support, which Dell hopes will facilitate information sharing. Engadget reports that both Venue 10 and Venue 10 Pro will sell for $299 when they release later this year, or $349 with the keyboard. An LTE SIM slot indicates that there likely will be carrier versions, as well. Dell tells us the Venue 10 Pro (which runs Windows) will cost $329 and $379 with the keyboard. They have not finalized pricing for the Venue 10 yet, but it will probably lower since there are no fees to run Android on it. Dell today announced a range of new additions to its state-of-the-art portfolio of education solutions to enhance the learning experiences of students around the world: the Dell Chromebook 11; Venue 10 and Venue 10 Pro tablets; Latitude 11 Education Series laptop and the Dell Interactive Projector S510. These new products join a great education portfolio that includes award-winning products like the Latitude 13 Education Series laptop, Dell Wyse thin clients for labs, and the Dell Precision M3800 mobile workstation for engineering and design students. Whether the learning environment is based on Chromebooks, laptops or tablets, all Dell devices are designed to integrate seamlessly within the preferred IT infrastructure. Along with fostering a collaborative learning environment, these new devices are “schoolyard tough” to withstand the bumps, drops and spills that are part of a student’s daily life. All four products feature a rubberized trim to absorb shock when accidentally dropped. The Latitude 11 Education Series and the Dell Chromebook 11 have been subjected to MIL-STD 810G testing for pressure, temperature, shock and vibration, and both have a 180 degree LCD hinge design that reduces stress on the hinge. Dell’s latest line-up of devices builds on its existing end-to-end portfolio of education IT solutions, including Professional Learning Services and Education Data Management. By developing a comprehensive IT strategy, Dell helps schools create a productive, personalized digital learning environment focused on improving student outcomes. This holistic approach ensures teachers, administrators and students fully realize the learning potential of technology. Dell is building on the success of its first entry into the Chromebook market last year with the second generation Dell Chromebook 11. Designed for the modern classroom with school yard durability, the Dell Chromebook 11 features a range of innovative features including an anti-glare HD display with optional touchscreen, liquid-resistant keyboard and touchpad and front facing integrated HD video webcam, allowing students to easily collaborate. It also features advanced connectivity options including wireless 2x2 LAN, 802.11 ac/a/b/g/n, Bluetooth 4.0, and up to 10 hours of battery life[i], so students can stay online throughout the day without being tethered to wires and chargers. The new Dell Chromebook 11 is also the first to feature an “activity light,” allowing teachers to easily monitor student activity and facilitate more meaningful interactions such as orchestrating student groups or facilitating quick quizzes and polls. The device can also be coupled with Google Apps for Education to provide a more open and connected classroom. Dell is also releasing two new Venue tablets that provide students and consumers with productivity and flexible computing, wherever they do their learning. Both the Dell Venue 10 (Android 5.0, Lollipop) and Dell Venue 10 Pro (Windows 8.1) feature a 10.1 inch HD or Full HD display to help bring content to life, and allow students to work in five different positions when configured with the optional, attachable and reversible keyboard. The five positions make the most of different learning environments and include: clamshell for test scenarios and to use as a laptop, tent and stand positions to promote collaboration and sharing, and slate configuration for keyboard storage while in tablet mode. An optional active stylus also provides the pen and paper “inking” experience on a tablet. 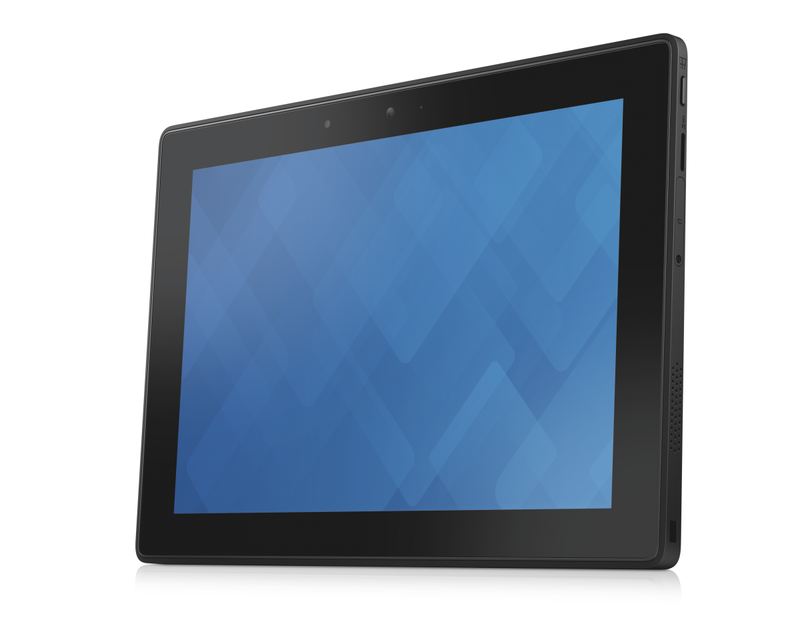 The Dell Venue 10, based on Android 5.0, is one of the first tablets to be certified with Google Play for Education. Equipped with Near Field Communication (NFC), teachers can instantly download content to students by simply bumping devices, making it even easier for every student to seamlessly access digital content. The Dell Latitude 11 Education Series is a purpose-built laptop that provides students with a solution fully equipped for learning and allows parents and educators to rest easy knowing their children are using the most secure, manageable and reliable education solution on the market. The latest Dell services and appliances help make the Latitude 11 Education Series simple to integrate into a wider device infrastructure. Dell’s exclusive mobility and managed cart solution lets IT managers push software updates overnight and gives educators the confidence that laptops are fully updated, charged and ready to go from the first bell to last with no cables to connect. The Latitude 11 is also capable of delivering comprehensive encryption, advanced authentication and leading-edge malware prevention from a single source via the award-winning Dell Data Protection portfolio. The Latitude 11 Education Series provides an 11.6-inch touch or non-touch display with Corning® Gorilla® Glass NBT™, full-size keyboard and ultimate durability, providing peace of mind even in the messiest locations such as art classes and cafeterias. Not only is the device subjected to MIL-STD 810G testing for pressure, temperature, shock and vibration, but the Latitude 11 Education Series also provides an exclusive fully sealed keyboard and touch pad to protect against spills, while also providing a rubberized LCD and base trim to provide superb drop protection. Dell is also helping teachers make lessons more engaging with the release of the Dell Interactive Projector S510. This state-of-the-art classroom peripheral allows students to actively engage with the projected content and has built-in WiFi, Miracast and Intel WiDi technology for easy wireless content sharing. In addition, Dell recently announced a range of solutions to help educators administer technology more effectively through new and enhanced management solutions and support services. Dell is making the management of education devices simpler with the newest version of its award winning Dell KACE K1000 Systems Management Appliance. The Dell KACE K1000 version 6.3 features first to market systems management support for Chromebooks, making it easier for educators to manage, secure and support all school and student devices in multi-platform environments. ProSupport Plus for PCs and Tablets, announced earlier this week, enables educators to spend more time teaching and less time worrying about the security and management of students’ devices. It is the only complete support service that combines priority access to expert support, Accidental Damage Service[ii], proactive and predictive monitoring for automatic issue prevention and resolution[iii]. The Dell Chromebook 11 starts at USD $249.99 and is available on Dell.com in the U.S. and select countries around the world starting February 12, 2015. The Latitude 11 Education Series starts at USD $299 for qualified education customers. The non-touch display version will be available starting March 3, 2015. A touch display version will be available in late June 2015. 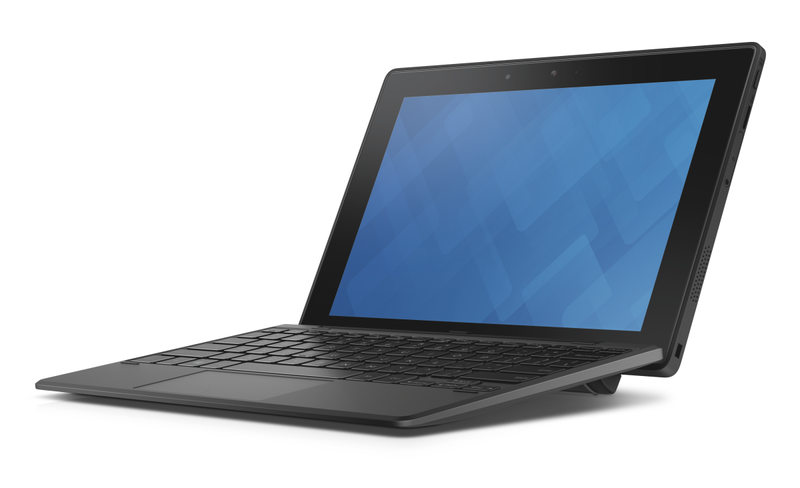 The Venue 10 Pro starts at USD $329.99 for the tablet or $379.99 with keyboard option. It will be available on Dell.com in the U.S. and select countries around the world starting March 3, 2015. The Venue 10 will be available in spring 2015. The Dell Interactive Projector S510 is currently available, starting at USD $1,799.99. Dell KACE K1000 v6.3 is available as a physical, virtual or hosted appliance. Dell KACE K1000 is USD $8,900 for the physical or virtual appliance and 100 managed systems – computers or servers. The K1000 as a Service is available for USD $6.50 per managed computer per month. Dell ProSupport Plus is currently available.